Can I grant a discount to a client? There is a field for discounts in LSP.expert. To define a discount for a job, you have to click on the estimate of the job (on the left) and edit the Discount field by clicking on the little pencil. This discount will be taken into account when creating the invoice for the job. 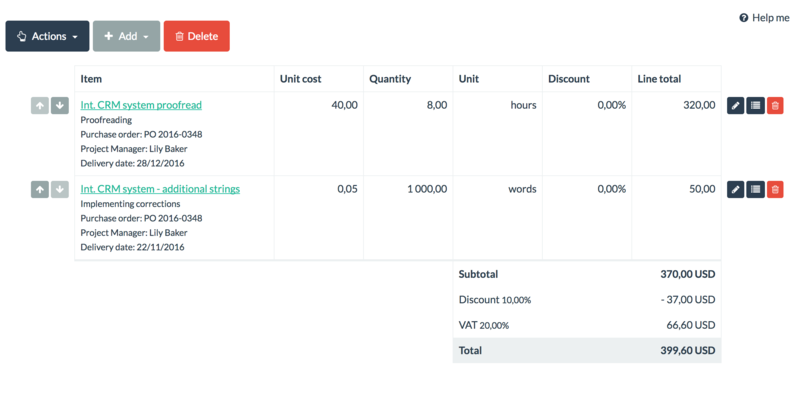 There is a Discount field in every invoice/quote. 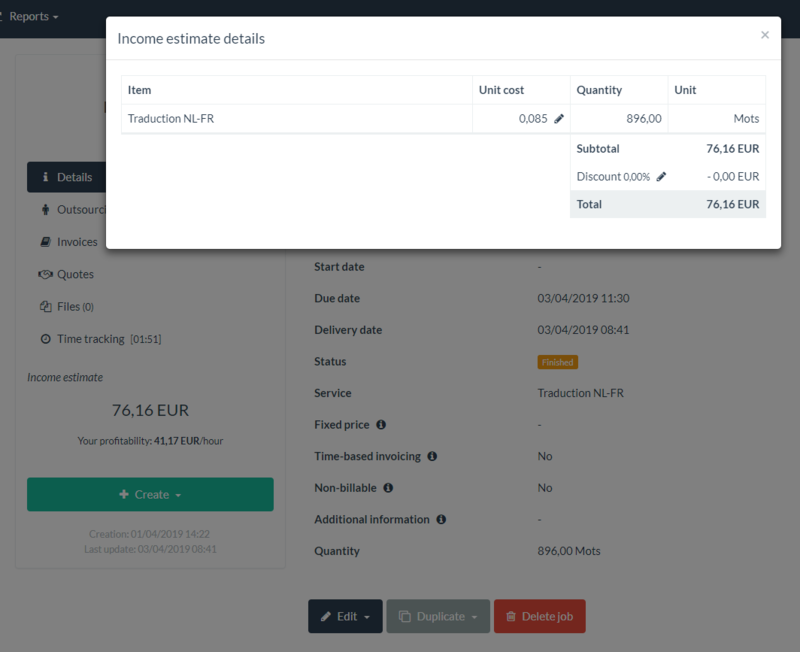 That's where you can define the discount (in %) you want to grant to your client. 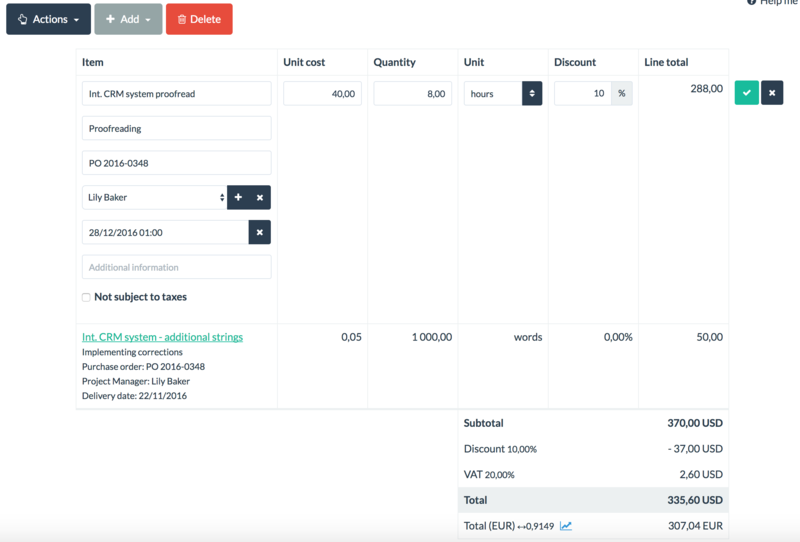 There is a Discount column where you can define a specific discount for each job. For that, you have to edit the details of the line concerned by clicking on the pencil on the right and define the discount (in %). As you change the percentage, the line total will update automatically.